Ray and Colin established Party Time twenty-five years ago. 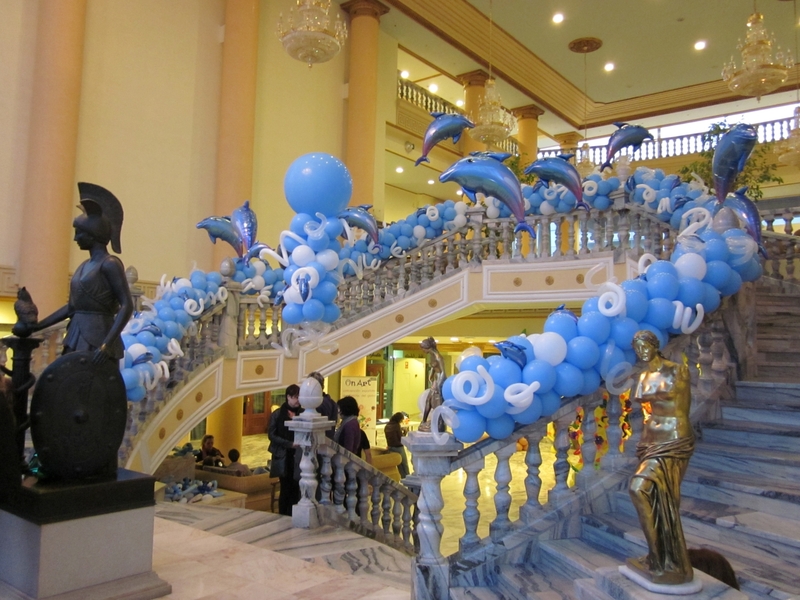 In the subsequent years they developed their skills and now offer all aspects of balloon decoration. From room décor, balloon walls, centrepieces, exploding balloons, arches, canopies and yes, even balloon dresses! Over the years, Colin has won over eighteen major industry awards for his balloon artistry. He has been involved in events in the Americas, Asia, Africa, and Europe. If you are having a small birthday dinner or a grand themed ball they would be delighted to help make your occasion spectacular. We are always here to assist you in any of your event and decorative needs. If you have any questions or would like a quote, you can contact us using via our enquiry form or, alternatively, call us to speak to one of our dedicated team members today.